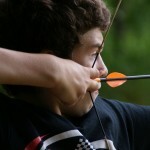 Camp Greenbrier campers shoot for Camp Archery Association (CAA) qualifications. 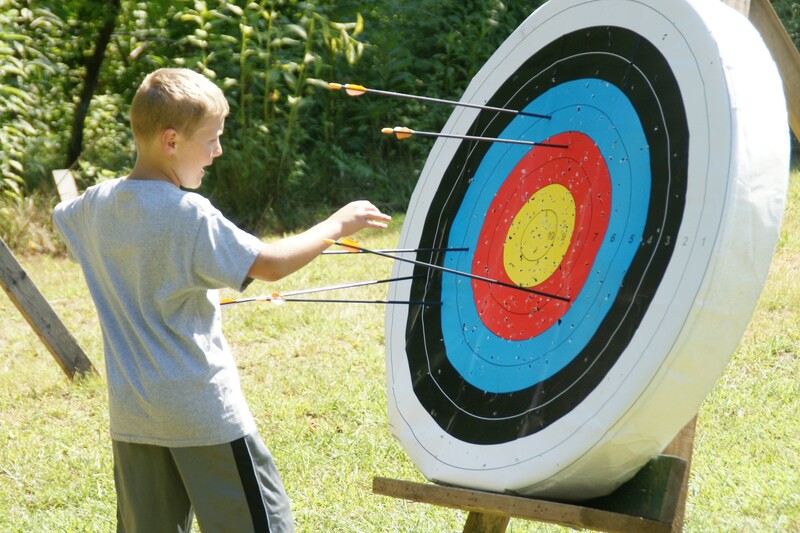 The qualifications range from Yeoman (15 yards) to American Archer (50 yards). 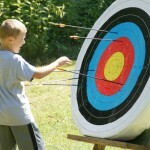 Safety is the top priority on the Archery Range. 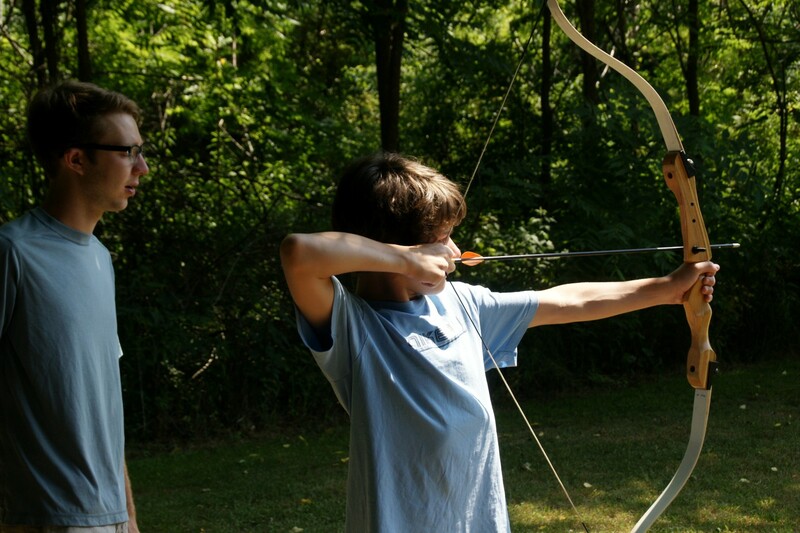 Campers start off learning all of the rules of the Range, including the commands that start and stop shooting. 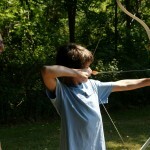 Once the campers have learned these basic guidelines, they have a chance to shoot twice a day. 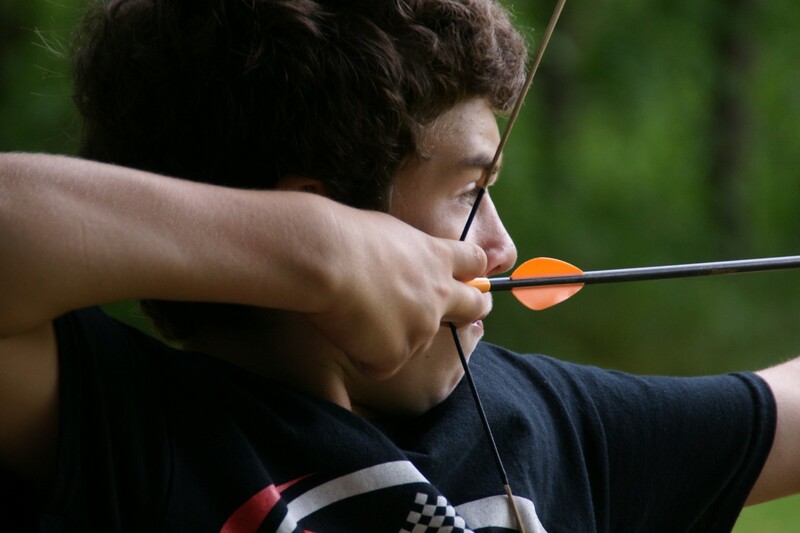 And any camper who wants to can try out for the Archery team. 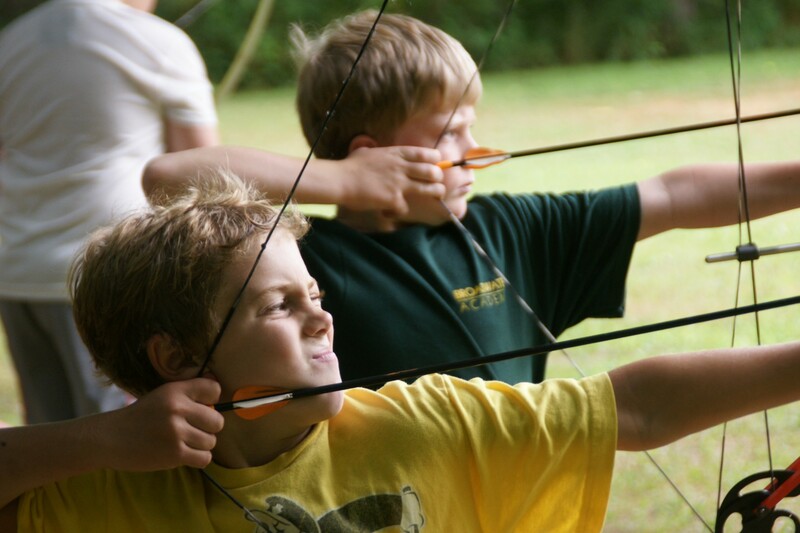 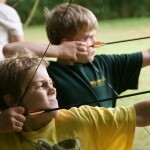 Once formed, the team shoots against another local camp in a much anticipated archery match.